Guy Chadwick Once Tried To Kick Me Full In The Face But I Deserved It So I Did. 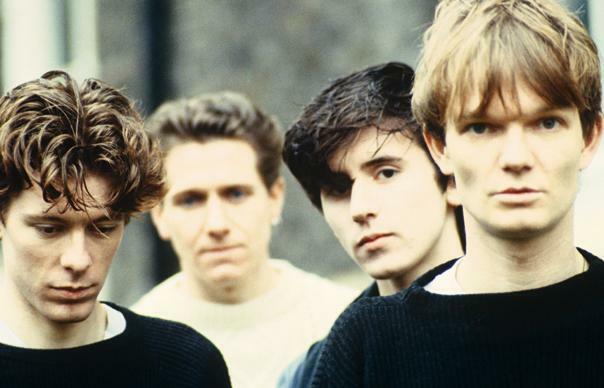 I liked tons of other contemporaries, but The House Of Love were, for me, the band that perfectly filled that post-Smiths/pre-Stone Roses void. They were terrific. A classic twin guitar and bass and drums indie rock band, they wore their influences proudly on their leather-jacketed sleeves; the twang and reverb. The stripey jumpers and black jeans. The semi-acoustic Gibsons. The rows and rows of effects pedals. The sheer bloody distorted racket they could morph into at the drop of a well-timed drum stick click before coming back as one to the melody – Guy Chadwick sooo wanted to be the new Lou and his band a Velvet Underground for the late 20th century. At a time in music when many bands were posturing in ponytails on political platforms, The House Of Love were always more Nico than Biko. That they blatantly added a female singer with high cheekbones and a 60s bowl cut who happened to be German only hammered the point home to those less observant than yer average muso geek. By the time the band had had a modicum of success, Andrea Heukamp, she of the bowl cut and high cheekbones, had gone her own way. 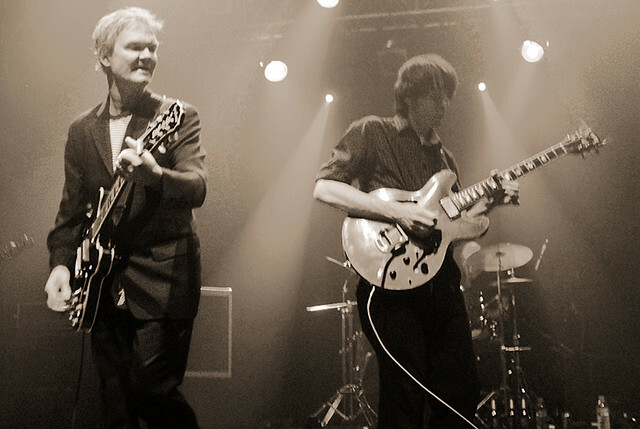 With her in their ranks, The House Of Love had cut their original version of Shine On. Not the over-produced, radio-friendly, siren-led version that, backed by their major label Fontana’s money gave the band their highest chart placing (20), but the far superior played-in-a-tunnel original version. This version was all reverb ‘n twang punctuated with a stratospheric guitar interplay provided by Guy Chadwick and Terry Bickers, a bonkers but brilliant guitarist who’s hedonism for the excesses encouraged by the music industry could make Bez and Shaun Ryder seem like Smartie-guzzling Boy Scouts in comparison. (He’s the angelic looking one 2nd from the right). At one stage Bickers’ erratic behaviour-via-drug use got so full-on the band elected to throw him out of their van halfway up some motorway or other between last night’s venue and tonight’s. Bickers left the band around this point, but would return to the fold a few years later. But you probably knew that already. Shine On was followed up by one more equally sonically-brilliant but anonymous-to-the-public single. Real Animal came and went in a real blink-and-you’ll-miss-it moment. Had you heard it, you’d have been telling anyone who’d listen just how good The House Of Love were. I know I did. John Peel had played it on occasion and, as recording it to a C90 had escaped me at the time, I had to wait until a few years later to own it when I picked up a German import compilation of the band’s first few singles. Having an ear glued to Peel was good news for the House Of Love fan. Peel was a fan as well, which meant they regularly popped up in session (7 in all, between 1988 and 1992) and he always seemed to have first play of the next single. The first single to be released as a four piece, Christine was the one that put the band in the spotlight. All tough as nails guitars and ba-ba-ba-da-ba vocals, Christine once again failed to make the ‘real’ charts, despite being a creatively marketed Creation Records 99p no-risk disc. But the band’s next single (and last for Creation) was their best yet. Fading in on an instantly recognisable guitar riff, Destroy The Heart was a heady mix of shimmering chords and pistol-crack drums, Bickers’ anti-solos confirming him as the next indie rock hero to follow in Johnny Marr’s footsteps, although John Squire was just around the corner, ready to pop up with his band and change the rules and define an entire epoch. As I said earlier, betwixt and between The Smiths and Stone Roses. But you know all that already too. Afterwards we went to The Arches. (Bouncer, frisking me. 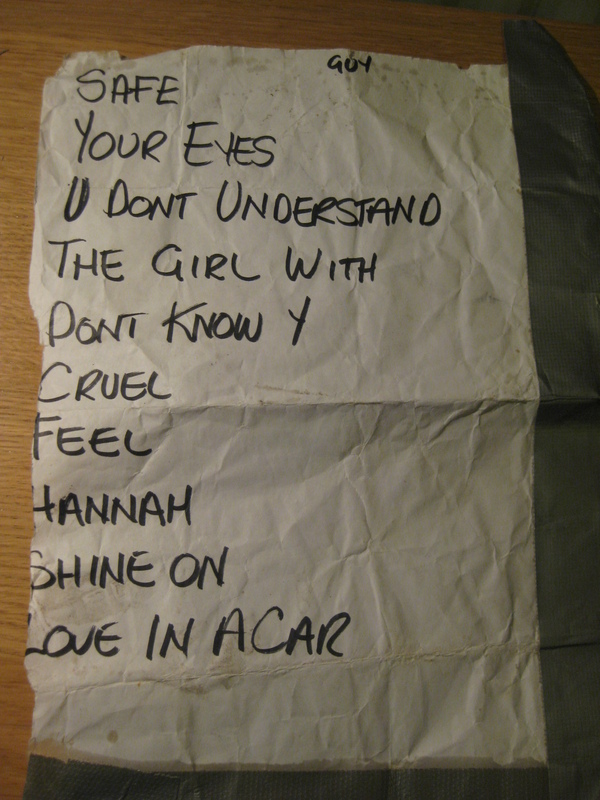 “What’s that?” “It’s my House Of Love setlist.”) Still full of spirit (and more beer and wine), we made idiots of ourselves dancing to the anonymous doof-doof-doof house music of the time before heading home – by taxi? by bus? did we stay on someone’s floor until the first light of morning? – I can’t actually remember. Anyway, guess what? In a bizarre turn of events, look who’s due to play at those very same Arches in April this year. It’s only Guy Chadwick and whoever else constitutes The House Of Love these days. I’ll be there, but taking up my more customary back of the room position that I’ve come to appreciate in my advancing years as a gig goer. If you’re coming, I might need hawners. You up for it big man? Great piece Sir. I too loved the House of Love. You’re a great writer! I don’t know Y I love U was another killer single in my personal pop world. Thanks for visiting Plain Or Pan. Remember to ‘Like’ us on Facebook and add us to your favourites! Guy has never worn Doc Martins……. Thanks Suzie. It must’ve been some other heavy footwear or other. 20+ years later and my old mind is gettin’ foggy. What was Guy’s chosen footwear if choice? Nice insider knowledge from Suzie there. It was! I spotted that too. Those days poring over record sleeves in no way wasted at all!